The Army decided last year to explore other routes for the Dakota pipeline amid huge protests by Native Americans. 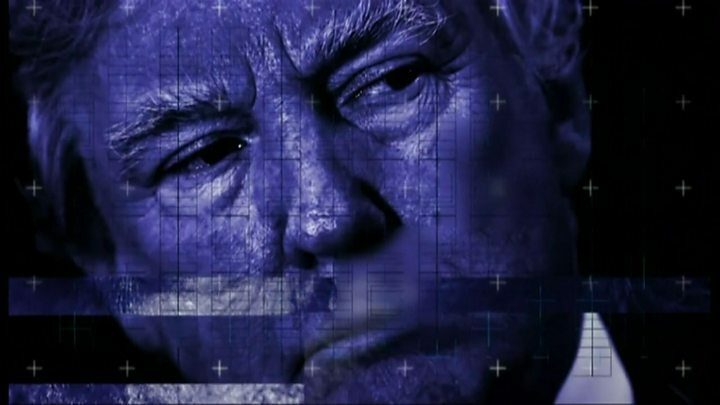 In the White House on Tuesday morning, Mr Trump said both projects would be subject to renegotiated terms and conditions. As he signed the Keystone XL measure the president said it would create a "lot of jobs, 28,000 jobs, great construction jobs". Mr Trump's actions do not mean the end of the fight over US pipeline construction, however. Opponents will continue to argue that they jeopardise sensitive environmental areas and violate private property rights. Now, however, instead of appealing to a potentially friendly Democratic administration, they will take the battle to the courts. Campaigners have said the project will leave only a handful of long-term positions after it is built. 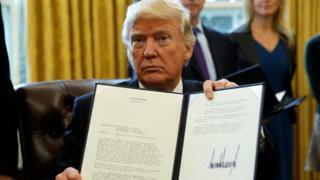 Signing another order calling for US steel to be used, Mr Trump said: "From now on we're going to start making pipelines in the United States... like we used to do in the old days." Environmental groups reacted with outrage. Greenpeace director Annie Leonard said that "instead of pushing bogus claims about the potential of pipelines to create jobs, Trump should focus his efforts on the clean energy sector where America's future lives". Sierra Club director Michael Brune said: "Donald Trump has been in office for four days and he's already proving to be the dangerous threat to our climate we feared he would be." But oil industry groups applauded the move. And the second-ranking Republican in the Senate, John Cornyn of Texas, said: "Today's news is a breath of fresh air, and proof that President Trump won't let radical special-interest groups stand in the way of doing what's best for American workers." 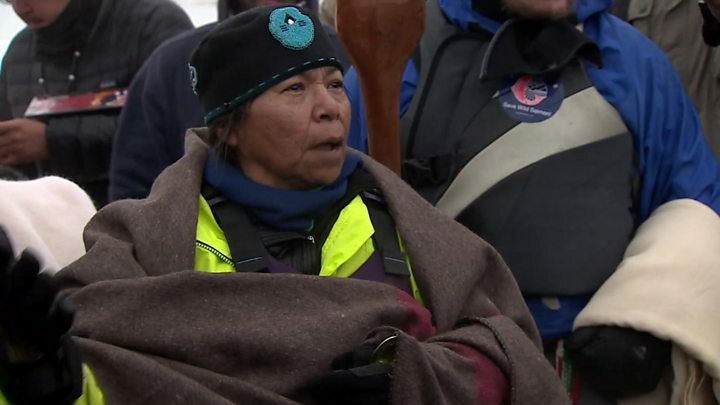 The Standing Rock Sioux Tribe, whose land abuts the proposed route of the Dakota Access pipeline, called Mr Trump's decision a violation of "law and tribal treaties", and vowed to take legal action. "Americans know this pipeline was unfairly rerouted towards our nation and without our consent," Tribal Chairman Dave Archambault II said in a statement. President Trump, who took office on Friday, promised during his White House campaign to support Keystone XL and fossil fuels, including the flagging US coal industry. But during a Tuesday morning meeting with automobile executives at the White House, Mr Trump described himself as an environmentalist. On Monday, he made similar comments to other business leaders, saying: "I'm a very big person when it comes to the environment. I have received awards on the environment." Canada lobbied hard for years for the approval of the Keystone XL pipeline under former Prime Minister Stephen Harper, who once said that authorising the new oil sands pipeline was a "complete no-brainer". Media captionCan Trump accomplish what he wants? His successor, Prime Minister Justin Trudeau, also supports the project and has said he intends to work with President Trump to approve the pipeline, proposed by Calgary-based energy infrastructure giant TransCanada. On Tuesday, Canada's natural resources minister praised Mr Trump's step. TransCanada has said it will resubmit its proposal for a construction permit.